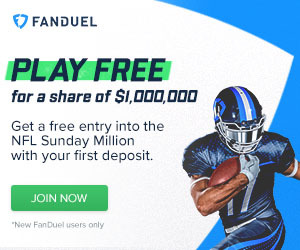 Looking for that solid late-round selection that will potentially become your fantasy football team's 'X' factor, or perhaps you're undecided as to which fantasy receiver is really a potential diamond in the rough. Well lucky you, you're reading the one fantasy piece that not only has you covered, but also has three of the best candidates to fit that bill. Take a moment out to read through what I have in store for you today, and DO NOT forget to keep this all in mind when you participate in your draft day. Also, these selections could also make for some savvy waiver wire mentions depending on how your draft goes, and who is left. Brown has been shining in camp thus far and he hasn’t been too shabby in preseason either, hauling in nine catches for a stunning 230 yards and three touchdowns, forcing many savvy fantasy football managers to turn a lazy eye towards his notice. Brown’s current overall ADP is 126.6 with a Standard Deviation of 14.6, placing him right around the 12th or 13th round. The Standard Deviation is reflected from the fact that Brown was originally predicted by many as a deep 13th rounder, but with Brown’s consistent performance and the ongoing recovery to fellow receiver Emmanuel Sanders (slow recovery from a foot surgery) Brown is now being figured to be featured as the WR-3 in the Steelers’ new pass-happy offense. Brown is a rising sleeper in his own rite, and the Steelers have made it clear that they intend to use him as yet another deep threat, as well as, a middle-short target which bodes well for many league formats—he’s an absolute steal as a 13th rounder. Greg Little is a guy I originally pegged as a top fantasy football sleeper a few weeks ago, and I still stand by that prediction. The knock on him thus far has been the fact that he has to nail down his fundamentals, but the Cleveland beat writers have been holding true on their prediction as Little eventually emerging as the team’s number one receiver—in time—for a month now. The Browns are developing into a sneaky team that could cause some trouble in the AFC, with Colt McCoy’s stellar play. Little could be a boom or bust type of receiver in the early goings, but I believe he’ll be a solid 13th round pick by year’s end. This will be the one guy that everyone sleeps on and the one guy that everyone regrets NOT picking up in about a month or so—mark my word. Unless you are reading this of course! Harry Douglas was figured to be a huge part of the Falcons offense last year before the injury bug destroyed the notion, and it forced the Falcons into a skewed direction for most of the 2010 season; but now that he’s back, the Falcons can finally deploy their three-wide set with greater confidence. Douglas was originally viewed as the NFC’s version of Wes Welker with his speed, mobility and elusiveness. But that was last year, and things have changed in favor of Douglas’ value. Look, I’m gonna give it to ya straight, so listen up kids: This guy isn’t even on most Top 100 WR lists or Top 200 overall ADP lists, which means virtually NOBODY has him on the radar—he is the real value deal! The Falcons already have White and Jones as the primary targets with Gonzalez and a featured backfield…all of which is going to garner HEAVY defensive attention, literally leaving this cat the forgotten man on the field in an already pass-heavy offense. For a 13th round or later pick, you just can’t get any better than Douglas right now in my opinion. Make sure to check out all of our fantasy football rankings as they are being finalized before the weekend hits, particularly our RB Rankings! There’s some really interesting insight by our own Greg Brosh I believe will help you fine tune your draft process and team build strategy at the coveted RB position. Good luck, and leave your questions below if ya’ll have ‘um!